Los Angeles, CA: RealWebMarketing.net, (http://www.realwebmarketing.net) an Internet marketing firm specializing in working with small to medium-sized businesses, has now added video production services to its list of Internet marketing service offerings. The company’s specialty with this new service is producing simple, inexpensive videos, thus making them more affordable and available for smaller businesses. You can view RealWebMarketing.net’s new video, “Why You Need to Advertise on Google AdWords,” on their web site at http://www.realwebmarketing.net/googlevideo. The company is also working on a new video production for a home improvement industry company in Los Angeles. 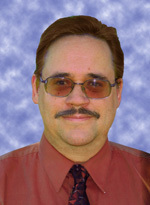 John Eberhard has been involved in marketing for a wide variety of businesses for 19 years. RealWebMarketing.net was founded in 1996 in the Los Angeles area, and has clients all over the U.S. Anyone interested in more information on getting a video produced can go to http://www.realwebmarketing.net/videos.html.